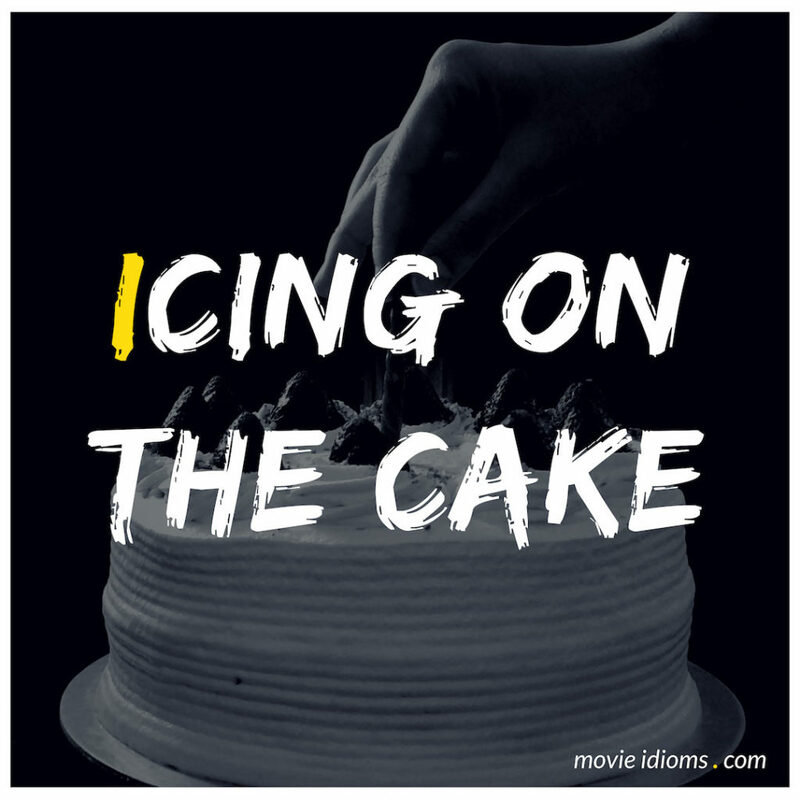 What does icing on the cake mean? Mrs. Bibby: Our lord and master, having grudgingly conceded that art may have its uses, I gather I’m supossed to give your Oxford and Cambridge boys a smattering of art history. Hector: Not my bag, Hazel. Irwin’s your man. Tom Irwin: It’s really just the icing on the cake. Mrs. Bibby: Is art ever anything else? Bill Peterson: There’s a new wave coming into DC I can help a Congressman do something opportune, like block an appointment that his party is desperate to kill, say? He’s in my debt. It’s money in the bank. The future, Jane. That’s what I’m thinking about. Screwing Dennis Abbott, that’s just icing on the cake. Patrick Jane: Yes, we will. We shall see. Bart: You lie like a fly with a booger in its eye. Homer: The fly was funny, but the booger was the icing on the cake.